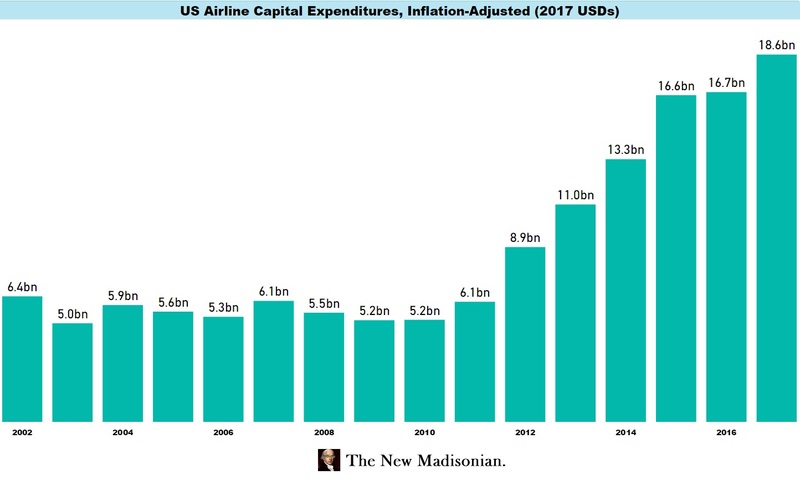 US airline capital expenditures are now at record highs since at least 2002. We surveyed 7 major US airlines to examine revenues and capital expenditures. We then compared capital expenditures as a percentage of revenues. For 2017, airline capex was at a record 11.6% of revenues. This is only the third year since 2002 that we’ve seen this figure climb above 10% and it never hit that level during the previous economic cycle (2002 – 2009). 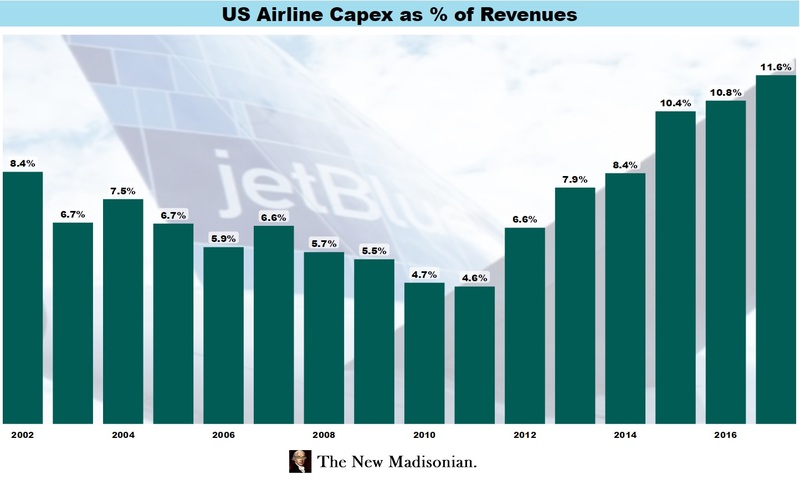 The driver behind the increased capex: American are flying more. 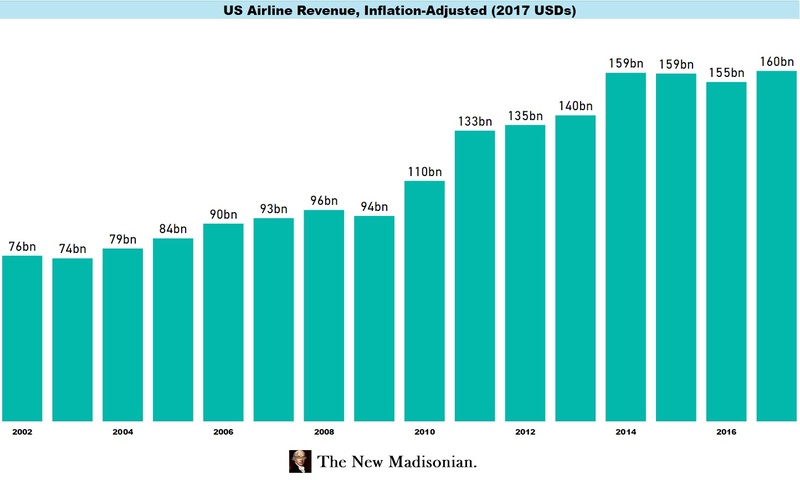 In inflation-adjusted terms, our 7 surveyed US airlines produced twice as much revenues as they did 12 years ago. That said, inflation-adjusted revenues have been mostly flat for the past 4 years, while capex continues to increase. Capex also looks very high compared to historical levels in inflation-adjusted terms. 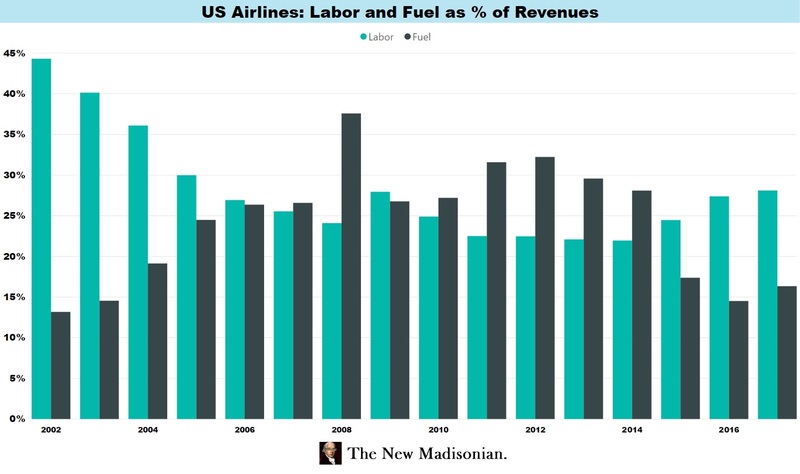 Finally, we can take a quick look at how labor and fuel costs have changed over time for the airlines. Labor costs peaked in the early 00’s, falling dramatically till 2011. 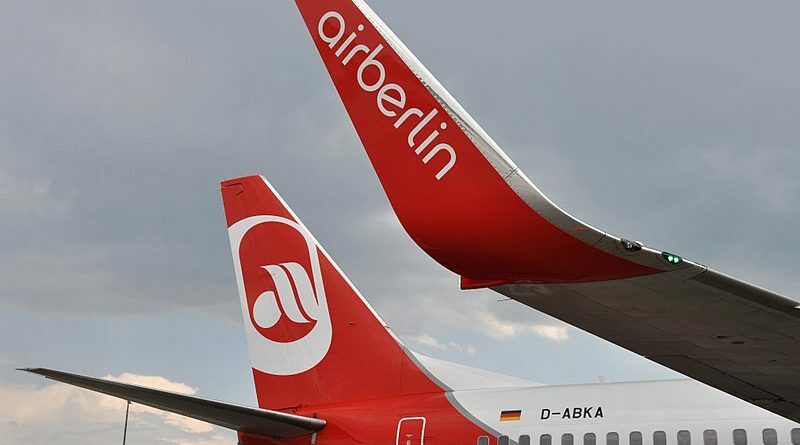 They have been on the march upward again since 2015, hitting 28.1% of revenues for our surveyed airlines in 2017. Fuel costs, meanwhile, continue to stay at very low levels at 16.3% of revenues. Our data comes from the 10-K SEC filings of 7 major US airlines: Southwest Airlines (LUV), JetBlue (JBLU), United Airlines (UAL), Delta (DAL), American Airlines (AAL), Spirit, and Alaskan Airlines (ALK). Inflation adjustments were calculated using CPIAUCNS (average annual CPI) from the Federal Reserve Bank of St. Louis.